I did a little shopping last week and found these beautiful Island Batik Stash Builders at Fort Worth Fabric Studio. I had never seen bundles like this and had to buy them! Each package contained 5 bundles of 4 – 5 inch strips the width of the fabric (approx 42 inches). Right away I opened them up and undid the bundles! Fort Worth Fabric Studio even sent me a little packet of Wyler’s Light Pink Lemonade……she must have known I would be thirsty after opening all those bundles! These were on sale and unfortunately it looks like there aren’t any left. Hopefully they will get more in as there is so much you can use these for! I did find some at a shop I am going to have to go visit! Crazy Redhead Quilting is actually a shop in Newton, IA which isn’t that far away, I can see a day trip coming up. I could cut them up and have a ton of 5 inch charms or get 2 – 2 1/2 jelly strips or a 3 inch and a 2 inch strip…….maybe I’ll just leave them as they are until I decide what project I’ll use them in. This is a perfect addition to my stash of Island Batik fabrics! I’m a Island Batik Ambassador! Speaking of Island Batik……I received a big box of the new Fall batiks and here is a little sneak peek. This is my second box of goodies from Island Batik, I can’t wait to work with these beautiful fabrics! I am already working on a project with the Quilted in Honor bundle and have a little table runner almost done using one of the little strip bundles. Take a peek at the other Island Batik boxes of batik fabrics I have received as an amabassador! Thank you Island Batik! Take a look at this beautiful Free pattern that is available at Fort Worth Fabric Studio! I’m linking up with Fabric Frenzy Friday! Thank you for the link for the free pattern! Love your batiks and I'm looking forward to what you make with them! What a very fun bundle! 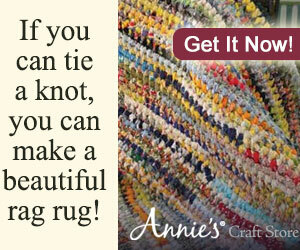 LOL – It looks to me like you are already in a Fabric Frenzy – you don't need to link up to one. The batiks are beautiful and I know you will make gorgeous stuff with them.